If you’ve never had the extreme pleasure to taste redfish, you are missing out big time my friends. And I mean big time! On one of our recent trips to the beach in South Carolina, we had dinner at a seaside fish house that featured on its menu an unfamiliar fish as the fresh catch of the day . . . REDFISH. We’d never heard of it so we thought that we’d give it a try! And were we ever so glad that we did! Well I am hear to tell you that as sure as a fish flops when out of water, ever since that first bite, I’ve wanted to prepare redfish at home in the craziest way! So when we returned home from our trip, I began to see where I could get my hands on some redfish to prepare at home. And redfish just might be the most famous inshore saltwater species out there in America. They can be found all the way up the east coast to as north as Maine and as far west as Texas! Turns out that redfish became so popular at such a rage pace back in the 80’s when Chef Paul Prudhomme’s Blackened Redfish recipe was published in his famous cookbook, that redfish soon became ‘overfished’ and placed on the “critically endangered” fish species list. No catch of redfish was allowed until just recently in the last few years. I’ll never forget baking his Spiced Pecan Cake with Pecan Frosting in 1985! It was this huge, towering, and very dense 3-layer cake that wow’ed everyone. You simply have to get this cookbook for your library to add some Louisiana cuisine goodness to your culinary repertoire! 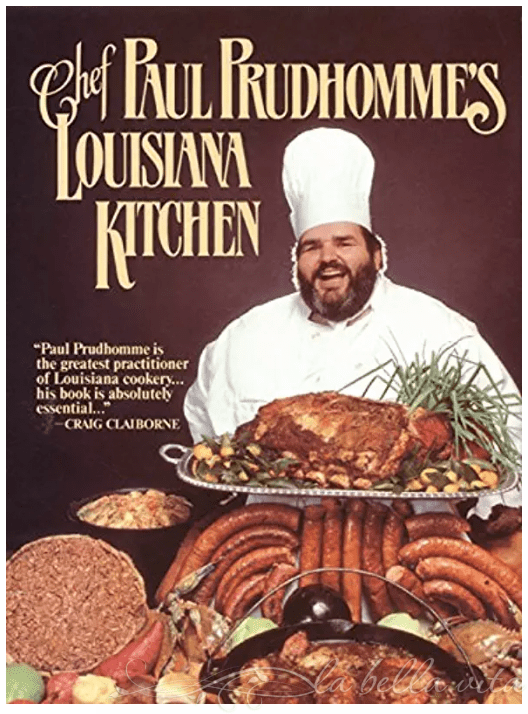 Click on this link to get an old copy on Amazon –> Paul Prudhomme’s Louisiana Kitchen. When the new PUBLIX food market opened up in our town, I asked the butcher if he knew about redfish and if it was available. Yes and yes, he happily replied. Within a week, redfish was special ordered for me and in my cart to prepare at home. Having never prepared redfish before, I played it safe and just googled Chef Prudhomme’s famous recipe for redfish. I also remembered that I had purchased a bottle of his “Magic” Seasoning Blend for Blackened Redfish. I’m so glad that I had this seasoning on hand because the recipe calls for you to just pour it on thick, thick, thick! Below is the recipe to prepare this seasonings blend from scratch if you prefer. So let’s get to the kitchen with the following step by step photo instructions! TRUST ME, this is SO EASY, and FAST!! Have your side dishes, biscuits and hush puppies ready to go because this takes only minutes to prep and fry (or grill)! Have all of your ingredients ready: the redfish, butter, lemons, garlic and the seasoning blend . . . that’s it! Don’t remove the skin. Brush garlic butter on the skin side and then . . .
Cover both sides of the fish and press down gently with your hands. Melt a stick of butter in a heavy cast iron pan while prepping the fish. Wasting no time, immediately place the coated fillets in the hot butter. Fry for 3 – 4 minute on each side. Turn over only once. Yes, the fish SHOULD look blackened. They aren’t burnt, they are blackened. Both sides should be fried until this is achieved. About 4 minutes on each side. Immediately remove the redfish from the hot butter and place on a large platter. Garnish with fresh lemon slices. Just gorgeous and piping hot! The fish should be tender and flaky and completely cooked. This is a thin fish fillet so like I said, it doesn’t take long to fry at all! A perfect seasoned and blackened bite of redfish to plop in your mouth! Flavour: mild taste with a touch of sweetness. The firm texture of redfish makes it highly suitable for soups, chowders, and stews, and its flavor will hold up to a variety of sauces. Fillets hold together best with the skin on. Properly handled and chilled on ice, fresh redfish fillets have a shelf life of 9 days. Frozen redfish fillets maintain their quality for up to 18 months if properly packaged and stored. When buying fish fillets, look for firm, solid flesh without any cracks; they should be wet and not dried out. For whole fish, select those with clear, bright eyes and shiny skin. Use the sniff test! If you smell a strong fish scent, it is a sign that the fish isn’t fresh. There should only be a slight aroma from the sea. Cook the fish that day and don’t let it sit in the frig for any more than one day or it will begin to smell bad. Be a good steward of the planet and choose fish that is safely populated and sustainable. Resist purchasing fish that is overfished. I waited out the 3 years that redfish was on the protected species list so that it could repopulate to a healthier, more sustainable level. Experiment with different ways to add flavor to fish such as different herbs, marinades, and sauces. Always cook fish skin-side down first. This produces a crisp exterior. Flip it over only once finish cookin. Don’t overcook fish. You want it to be tender, so follow recipes exactly, keeping in mind to cook fish for 5 – 6 minutes per 1/2 inch of thickness at the thickest point. To test fish for doneness, insert a knife at the thickest part. Fish is cooked when it is barely translucent in the center. Even though it looks like it might not be done cooking, fish will continue to cook after it’s removed from the heat. When grilling, leave the skin on for easier cooking, and oil the grill so the fish won’t stick or you use a grill basket. When pan-frying, spray cooking oil on (preferably) a heavy cast-iron pan. Other AMAZING fish recipes that I know you’ll love and KEEP! I’d never had it before either Angie, but believe me, it is a delicious fish! I saw this on FB earlier and haven’t been able to get it out of my head. Bobby blackens catfish sometimes and it’s awesome. I would love to be able to find some redfish for him to blackened. Yours looks heavenly and your seasoning is spot on. MJ, there may be some online fresh fish places that might have it and ship some to you. It isn’t a normal fish to find where I usually shop for food and groceries. I always have to special order it. Whole Foods used to carry it years ago, but stopped since they said that too few people knew about redfish further away from the coast (and I live closer to Georgia and N.C. than the coast)! It is really delicious and although Bill doesn’t enjoy ‘blackened’ recipes, he devoured this one. One fillet is perfect for one serving. I had never had it before either. Redfish a seriously delicious fish! You can substitute red snapper nicely which is much easier to find. My Bill isn’t a fish fan either, but he ate his whole fillet! He said, ‘you know I’m not a fan of blackened recipes, but this one is good”. Look for the ready-mixed spice jar from Paul Prudhomme for “Blackened Redfish Magic”. It can be used on any food. I know what you mean about running out of Lenten entrees, especially when there’s family who aren’t big fish lovers! Roz, this blackened redfish looks fabulous! 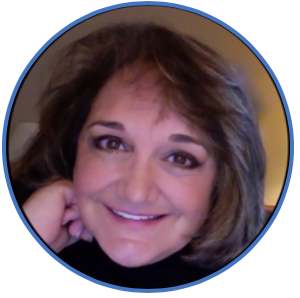 I remember Paul Prudhomme – I have that book on my shelf. Lucky for me I live in Virginia so I’ll have to see if I can get some redfish!